Toshiba on Wednesday confirmed that it is studying the possibility of splitting its NAND flash business into a separate company. While nothing has been decided as this point, the Japanese tech firm needs money and it may sell a stake in its memory business to Western Digital or another investor, based on unofficial reports. In the recent months, Toshiba ran into a new accounting scandal that may require it to write down as much as 4 billion dollars because of cost overruns at its U.S. nuclear power business. The exact number has not been finalized, but the company is already studying various possibilities to offset the massive loss, which would anger its investors after the company already faced an accounting scandal in 2015. Nikkei reports that Toshiba is mulling to spin off its semiconductor business into a separate entity and then sell a 20% in the new company to someone like Western Digital for about $2.7 billion, while retaining 80% stake as well as operational control of the unit. 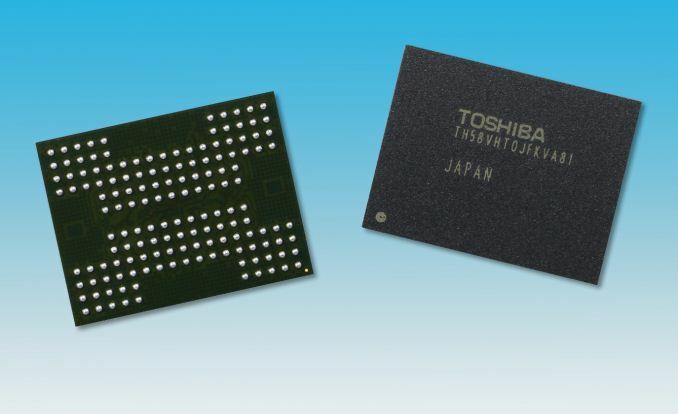 Toshiba confirmed that it is studying the possibility of its memory business spin-off, but noted that no decision has been made and that the in-house NAND production is a focal business. 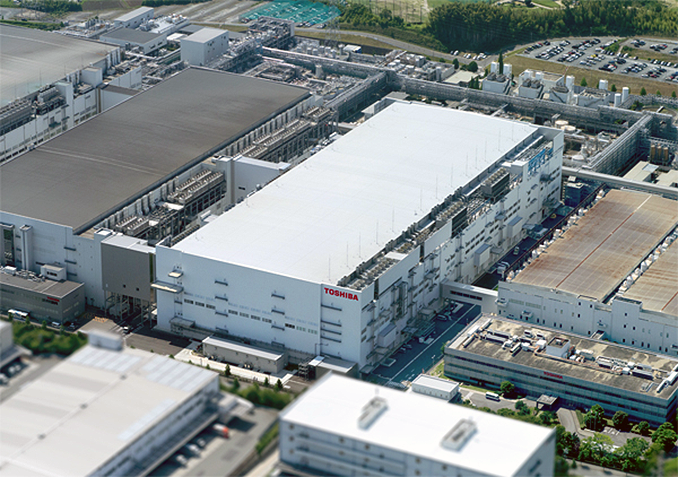 Toshiba and Western Digital already operate the world’s largest NAND flash production complex in Yokkaichi, Mie prefecture, Japan. Formally, the manufacturing facilities belong to joint ventures between the two companies and WD buys wafers from Toshiba. It is not completely clear how the spinoff would work in this case and which parts of Toshiba’s business will be up for sale. For Toshiba, NAND flash production is indeed strategically important because it enables it to produce all types of storage devices in-house. Today, Toshiba makes HDDs, SSDs as well as various types of removable storage at its own fabs using its own components. The only other company that can manufacture all types of storage products using its own media is Western Digital, while companies like Samsung and Seagate lack either HDDs or NAND flash. 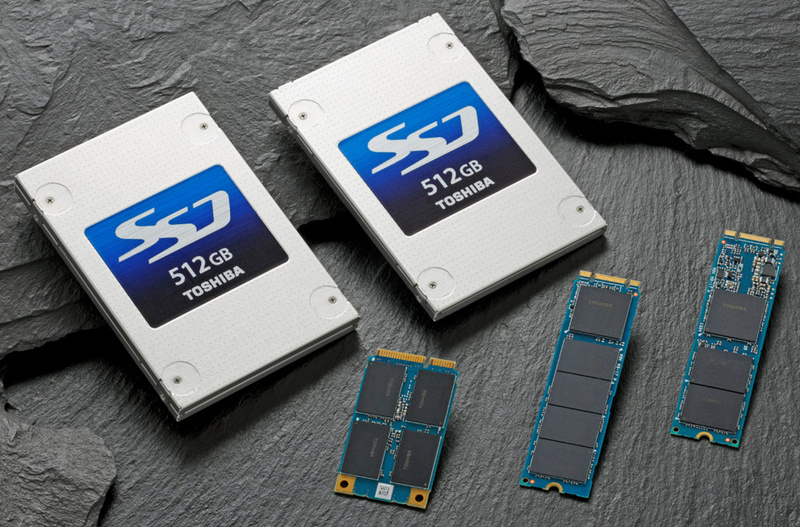 One of the important things to note is that production joint ventures owned by Toshiba and Western Digital are unlikely to make a lot of money directly because they sell wafers at near-cost to their owners who then earn profits by selling SSDs, memory cards, bulk NAND flash and other devices to their customers. Therefore, if Toshiba is to sell a stake in its semiconductor production business, it needs to sell it to a company that can then use the chips to build products and make some money. Obviously, Western Digital would be a perfect investor because it already has everything needed to produce actual storage devices, but a rumor has it that it is not the only investor considered by Toshiba. Meanwhile, Toshiba’s plan to spin off its NAND flash business into a separate company may have a significant impact on the market of storage devices in general. Nowadays, Toshiba and Western Digital jointly invest in the development of NAND flash as well as manufacturing process technologies. Changes of the ownership may alter Toshiba’s investments not only in terms of money, but also in terms of R&D spending by the company. In any case, according to reports, no decision has been made. Did Toshiba engineers spin off and start OCZ? Got caught screwing everyone and then brought back into the fold? By the way, how come the advertised read speeds on toshiba flash are always double the actual tested speeds regardless of whether they are branded PNY, Mushkin or whatever? What a bunch of SKUMBAGS!!!!!!!!! !